Pioneer Electric Cooperative is committed to exceeding the energy needs and expectations of our consumer-members by providing safe, high quality and responsive service at fair prices. Pioneer Rural Electric Cooperative, Inc., is a not-for-profit, consumer-owned electric distribution utility headquartered in Piqua, Ohio. We also have a district facility in Urbana, Ohio, providing quicker response times during outage situations and continued operations in case of a disaster. 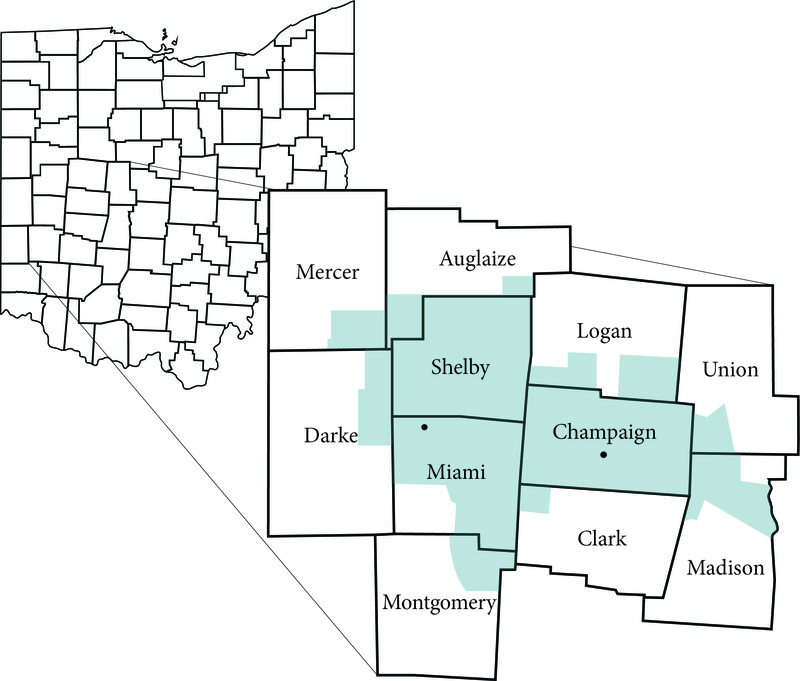 The cooperative serves more than 16,700 residential, commercial, and large industrial members throughout rural Miami, Champaign, and Shelby counties, as well as portions of the eight surrounding counties — Mercer, Auglaize, Logan, Union, Madison, Clark, Montgomery, and Darke. Even though Pioneer provides electric power to its members, it is the membership that powers the cooperative. Members have a voice in the operation of their electric utility and vote for their board of trustees, a group of members who governs the co-op. Members have equal representation in Pioneer despite their size or number of service accounts — one member equals one vote. We are particularly responsive to the needs and expectations of our members because they are also our owners.